"To love America is to love all Americans." It's a simple proposition—and an urgent one this Fourth of July, when the U.S. has rarely seemed more divided. 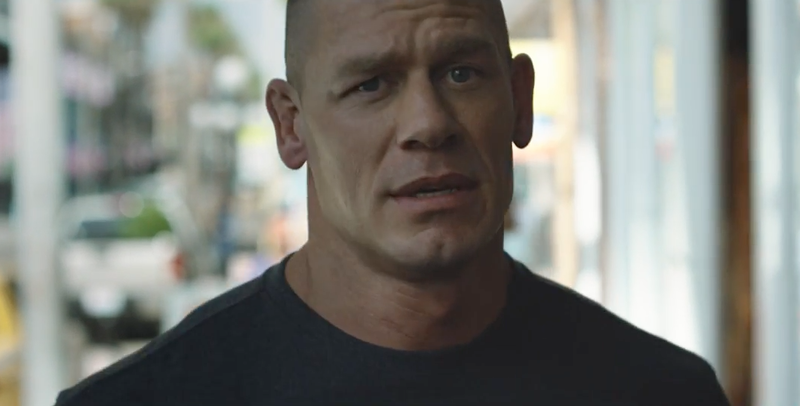 And it's delivered in bracing fashion by John Cena, who muses on the meaning of patriotism, and the things should unite rather than divide us, in this remarkable new iteration of R/GA's "Love Has No Labels" campaign for the Ad Council. As he walks through a typical small American town, talking directly to the camera, the pro wrestler—who's becoming a familiar face in the ad world these days—draws a line in the sand early on. Patriotism isn't just pride in one's country, he says. It's love for it. And loving one's country means embracing who and what the country really is—not what you might picture it to be. Along the way, this small town turns out to be remarkably diverse—the essence of America itself—as we see citizens who are Latino, LGBT, Muslim, senior citizen, African American, disabled, and so on, all just as American as anyone else. The underlying message: To be a true patriot is to accept all Americans regardless of race, religion, gender, sexual orientation, age or ability. In short, patriotism is love, Cena says, and love has no labels. "We are America," says the tagline—a line that couldn't be simpler in expressing unity. In a country gripped by the perpetual noise of a brutal presidential election, the message is clear, timely, thoughtful and skillfully delivered by R/GA—connecting love of individuality (so memorably illustrated the original, megaviral "Love Has No Labels" video) with love of country, which is often used as an excuse to exclude rather than include. The message comes at a time of toxic political discord in America. But thanks to brand partnerships struck by the Ad Council, the new spot, if not universally lauded, will certainly be noticed far and wide this holiday. Campaign partners include The Coca-Cola Co., PepsiCo, Procter & Gamble, Unilever, State Farm, Google and Johnson & Johnson, which will promote #WeAreAmerica content across their brand channels. In addition to funding the campaign, the partners will also show their support throughout the year with on- and offline activations, including social influencer programs, social messaging, employee engagement, events and more. "At a time when it feels hard for our country to find common ground, we need to remind audiences that to celebrate America is to celebrate all Americans. We're so proud to continue the 'Love Has No Labels' message as part of the July 4 holiday and throughout the year," said Lisa Sherman, president and CEO of the Ad Council. " 'We Are America' illuminates what we already know—that Americans today cover the full spectrum of age, sexuality, ability, race and religion. And this message is just as important now as ever." "Like last year, the power of the campaign came from its honesty. To celebrate the real America is to celebrate the real people that make up this country," said Nick Law, global chief creative officer at R/GA (and himself an immigrant from Australia). "As someone who moved to the U.S. 22 years ago, I've benefited from the openness and generosity of this country. And it's this inclusive spirit that now makes me proud." The campaign also has support from Facebook, Twitter, BuzzFeed and WWE. People can visit LoveHasNoLabels.com and share their own #WeAreAmerica photo from within a Facebook ad unit after watching the video. Twitter has launched a new "Love Has No Labels" emoji—diverse holding hands, available through Aug. 4—for #WeAreAmerica and #LoveHasNoLabels. BuzzFeed is developing posts to inspire Americans to reflect on their own assumptions of what the "average American" looks like. And along with Cena's starring role in the campaign, WWE will use the WWE Network, TV broadcasts, live events and digital and social media to support the campaign.